YOU MIGHT HAVE heard of the old trick on how to keep champagne or Prosecco fizzy overnight - that is, to stick a spoon in the bottle’s mouth, as above. But, as with many old wives’ tales, scientists have looked into it and proven that putting a spoon in there makes no difference at all to the bubbles. None whatsoever. A Standford University study into the champagne/silver spoon myth was conducted – and categorically found that the spoon makes not a jot of difference overnight to champagne bubbliness. The spoons, silver or stainless, were not especially successful in maintaining the sparkle of the wine. But spoons and all other treatments worked better than re-corking the bottles. At least in this test, re- corking seemed to be the best way to make champagne lose effervescence and taste. The Wine Folly blog has also investigated and discovered that, as with all the others, this one is just a myth. The popular Discovery series Mythbusters in the US checked into it as well and declared it to be a myth. Keep it cold. In fact, never let it warm up. That’s the secret. Email “Does putting a spoon in a bottle of Prosecco actually keep it fizzy overnight?”. 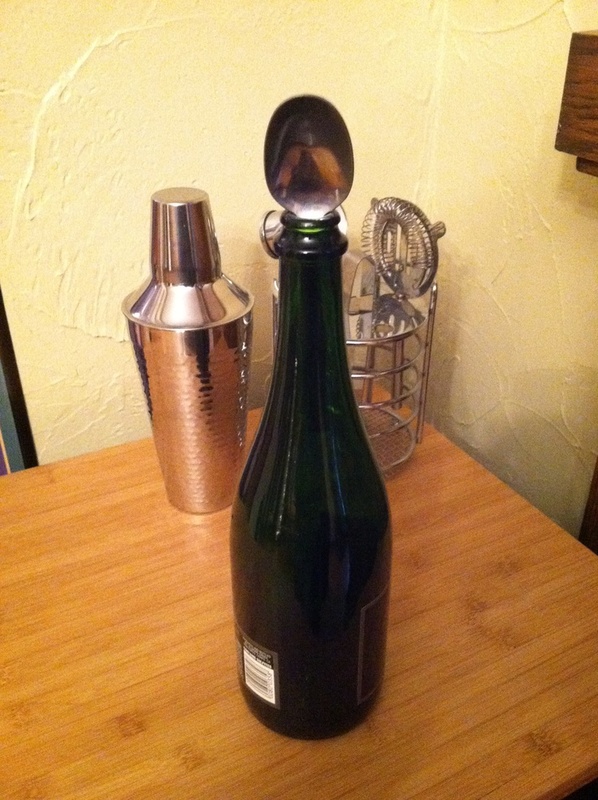 Feedback on “Does putting a spoon in a bottle of Prosecco actually keep it fizzy overnight?”.